I've become an overnight fan, and have bought both these and some black Janoskis in the past three weeks. Help! I think I know who to blame... none other than ms Ellaby. 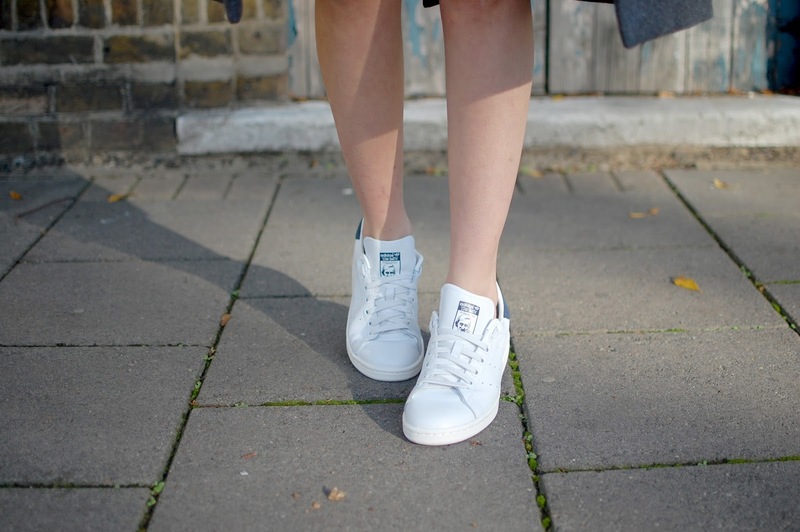 I love the look of the trainers with the sophisticated look, slightly urban inspired! Absolutely beautiful pictures girl, you look amazing. Love this Motel Rocks dress! Nice, very elegant coat, I like so much!! Love this outfit, so elegant and the trainers give it a cool twist!